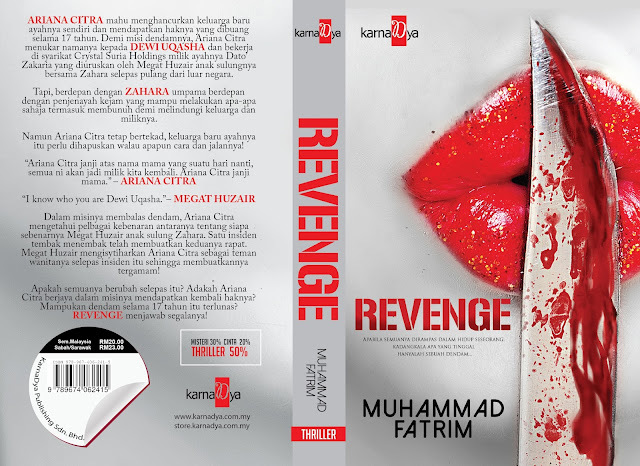 A young woman’s quest for revenge forms the backdrop of author Muhammad Fatrim’s new Malay fiction novel. Revenge begins when businessman Datuk Zakaria and new wife Zahara kick out first wife Khadijah and daughter Ariana Citra from their house. Ariana and her mother are forced into a life of hardship, and the young girl swears revenge against the two. Many years later, a grown-up Ariana, now calling herself Dewi Uqasha, sets in motion her plan for revenge. She gets close to Zakaria and Zahara, who do not recognise her, and are totally clueless about her intention to destroy their lives. Revenge is Fatrim’s seventh novel, and this thriller will be on sale at the Pesta Buku 1 Malaysia at the Putra World Trade Centre from today to Dec 18. The subject matter makes one wonder about the author’s relationship with his own father. But in an interview with theSun, the Sabah native assures that the story is pure fiction and has nothing to do with his late father, who was a teacher. “I was only 11 when I lost my father to cancer,” says the 30year-old Fatrim (below). During that difficult time, he got closer to God and to a certain degree, religion brought him a measure of peace. “My father was a storyteller too,” Fatrim recalls. Surprisingly, Fatrim initially did not want to make writing his career. “My childhood ambition was to be an air steward,” he says. He applied for many courses in several local universities and was accepted for a diploma in creative writing at Universiti Teknologi Mara in Shah Alam (UiTM). “I begged to change my course,” he says. But he was persuaded to give the writing course a chance. It has since appeared to be the best decision he had made. The course helped to instil the love for writing and storytelling in him. “I think God wanted me to be writer,” he says. His first work was a children’s book called Geng Karipap. But it was his second novel, Asrama, that brought him fame. 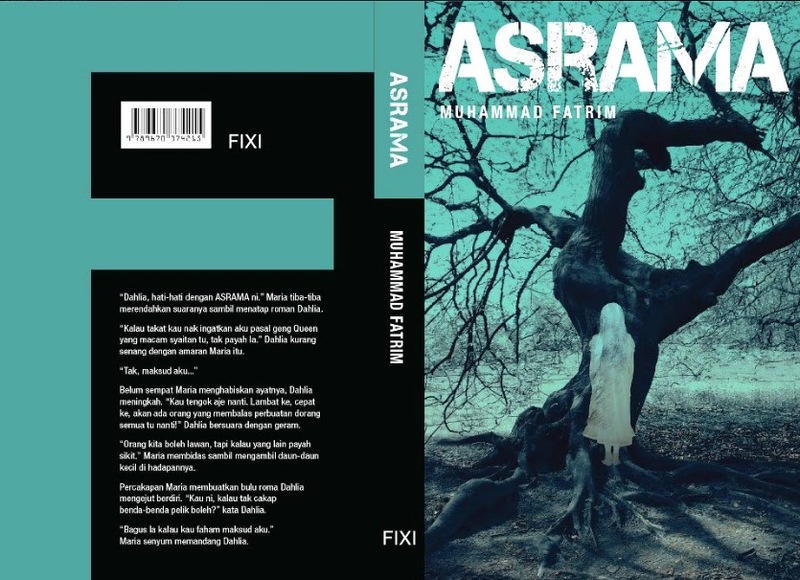 Published under Fixi, the horror-thriller is about Dahlia, who goes to a boarding school. She encounters weird things happening there and begins to investigate them. Asrama remains the top selling novel under Fixi’s banner, with more than 40,000 copies sold to date. 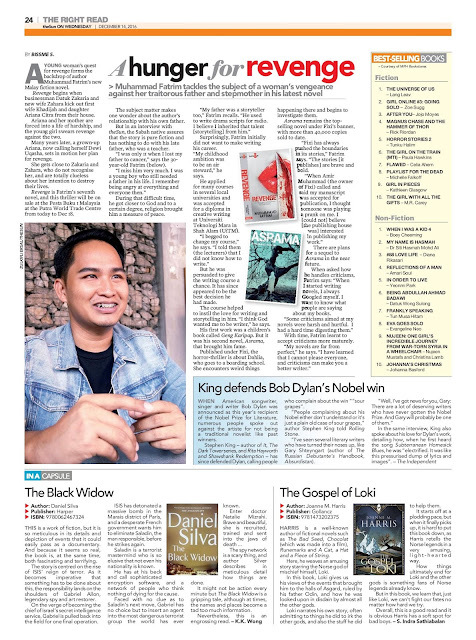 “Fixi has always pushed the boundaries in its stories,” Fatrim says. “The stories [it publishes] are brave and bold. There are plans for a sequel to Asrama in the near future. When asked how he handles criticisms, Fatrim says: “When I started writing novels, I always Googled myself. I want to know what people are saying about my books. With time, Fatrim learnt to accept criticisms more maturely. “My novels are far from perfect,” he says.